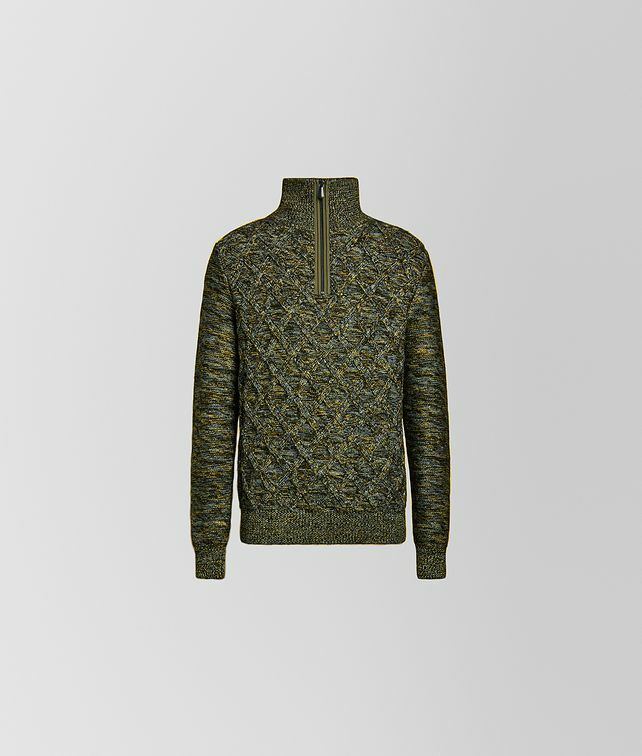 New for Cruise 2019, this half-zip sweater is crafted from wool mouliné that is hand-knitted to create a raised diamond pattern. The distinctive yet versatile piece features a ribbed collar that is detailed with a vivid complementary hue and an intrecciato engraved zipper pull. Finished with ribbed trim.